Is it too late to get a local turkey for Thanksgiving? Thanksgiving is just over a week away, and many of you who read this blog have already pre-ordered your local-raised Thanksgiving turkey. Most of the local vendors in these parts require you to pre-order a few months in advance to ensure you have a Thanksgiving turkey that’s locally grown. But what if you didn’t pre-order and would like a local turkey? 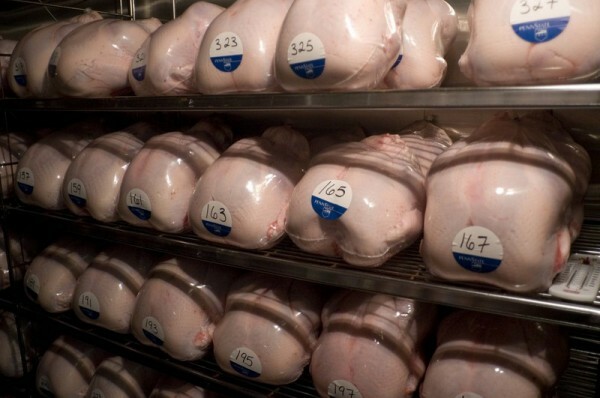 Continue Reading: Is it too late to get a local turkey for Thanksgiving? Think back to your very first impressions of Thanksgiving. What were they like? 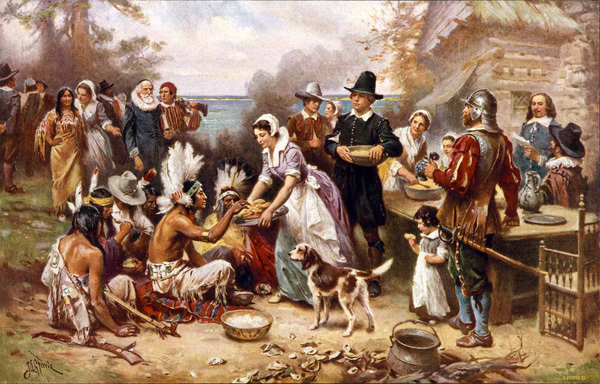 Your young mind probably formulated heartwarming images of pilgrims smiling with Native Americans over warm, delicious food that they’d harvested and cooked together. Both parties truly thankful and dressed to impress; the natives in their tribal best, and the pilgrims in those oddly buckled hats and shoes. Now think harder, what did the turkey look like? It was beautiful, of course, and looked just like your hand that you’d traced and colored in class: a sizeable bird, wild with full plumage and deep natural colors that was just large enough to feed the small village. Thanksgiving Day can be daunting for even the most experienced cook. PBS Food is ready to help you pick out your Thanksgiving recipes, plan ahead to stay on track, and remember what Thanksgiving is really about – being grateful and spending time with family. Most of us will admit that one of the best parts of Thanksgiving is the leftovers. 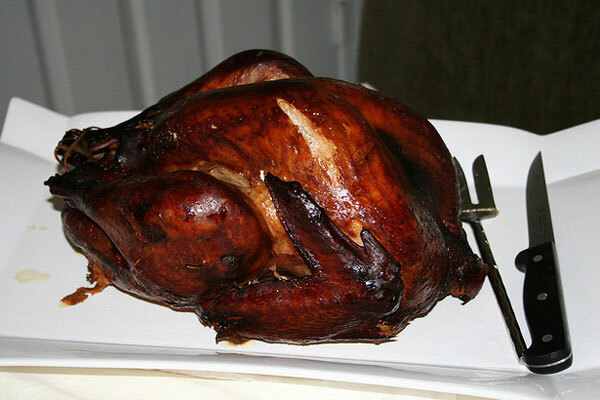 Here is a favorite recipe for creating another delicious meal from the turkey that might be left on the platter at the end of your annual feast. 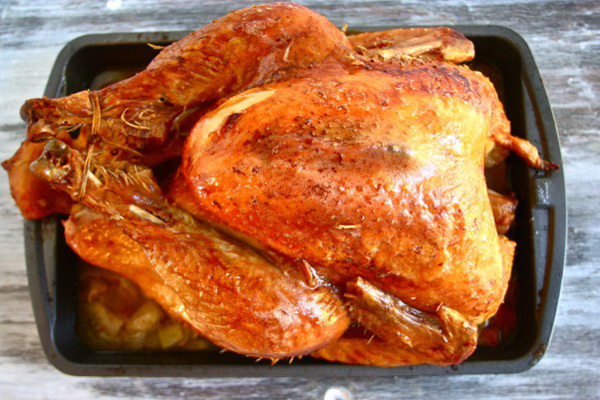 Looking for a tasty way to use those Thanksgiving turkey leftovers? 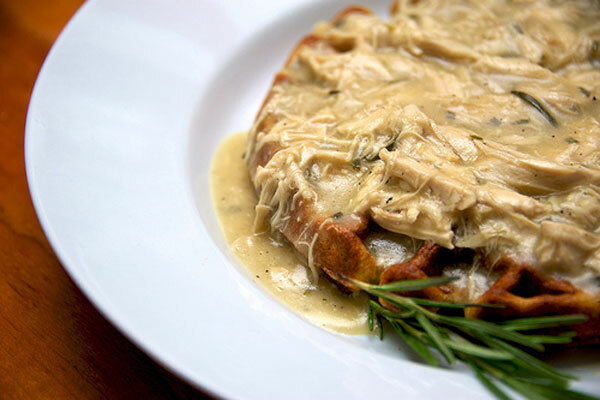 This dish takes a savory, rosemary-infused Belgian Waffle and tops it with turkey stewed in marsala-laced and butter-rich gravy.